It seems 8x Mr. Olympia Ronnie Coleman was back in the hospital to undergo more surgery, but has since been released. Coleman is considered by many bodybuilding fans to be the greatest champion of all time. He’s also proven to be one heck of a successful businessman. 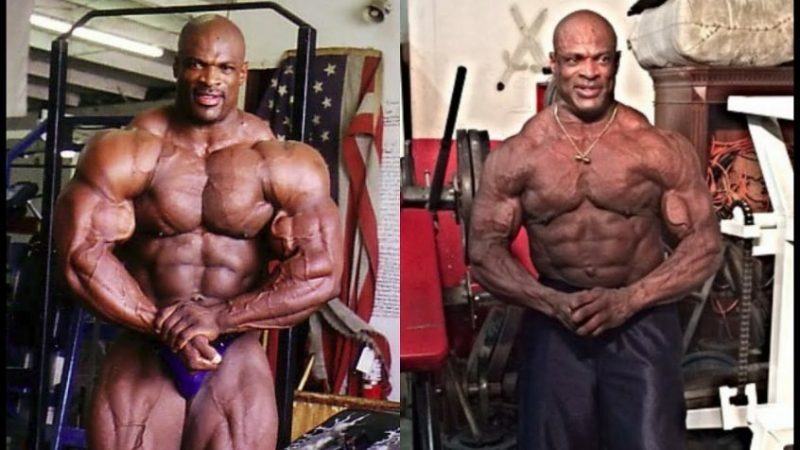 His Ronnie Coleman Signature Series flies off the shelves and Coleman’s connection to the fans hasn’t faded in the least. Other champions from yesteryear, even recent ones like 7x Mr. Olympia Phil Heath, have very little fan support. It’s not because they didn’t build great physiques or really love the sport, they just lack the social skills and the realness factor of a Ronnie Coleman, Kevin Levrone, or Kai Greene. If fans don’t feel a connection, they won’t ever be diehards. I’ve been to expos where lines snake around the corner, hundreds of people, waiting patiently in line to see Ronnie Coleman, take a selfie, and or get some magazines or dvds signed by him. Whenever Ronnie speaks on social media, it’s like life pauses, and bodybuilding fans from all parts of the world tune in. They may not even speak English, but they’ll watch and listen. That’s a real sign of greatness. Just when many of us though Ronnie was done with hospitals and looking forward to a challenging life of rehab (and maybe a full recovery – God willing), the champ was back in, surrounded by loved ones, and facing yet another procedure. It seems to have been success, as he was released days later, but it surely caused many to worry. After a series of surgeries, it seems that Coleman underwent surgery on a herniated disk in his neck, according to a statement on is Instagram and also reports from credible websites. This procedure is necessary because of an accident he suffered at home, which Ronnie described as a “hard fall which herniated a disk in his neck,” requiring Level 3-4 fusion of his cervical spine. The surgery is so necessary, that even after getting a second opinion, the prognosis was the same. Ronnie asked that his fans say a prayer for him, which we will did here, at Iron Magazine. What’s more, most fans, even the diehards, were totally in the dark about what all Ronnie has had to endure. The Generation film, “Ronnie Coleman – The King” shed a lot of light in this regard, as the biopic was told through Ronnie, in his own words, with appearances by those closest to him. 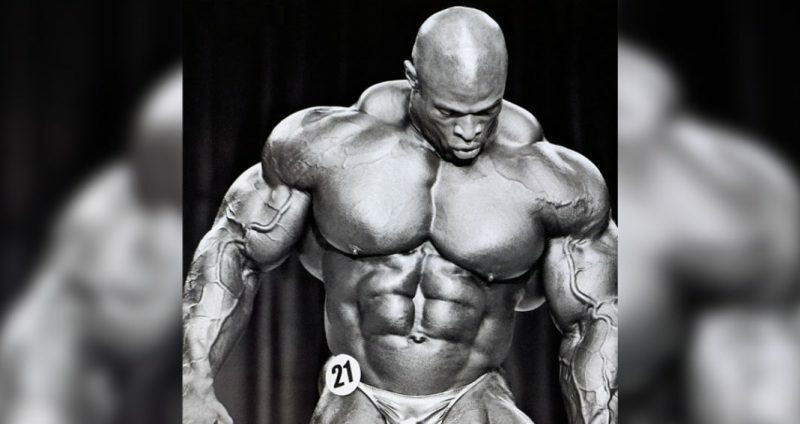 The fact is, Ronnie’s back issues started even before he won his first Olympia back in 1998; however, he relied on chiropractic and holistic means, doing his best to avoid back surgeries. In fact, a close friend warned Ronnie that if he ever got one back surgery, it surely wouldn’t be his last. Usually, though, folks having a hard time with pain management and proper body function won’t subscribe to wives tales or superstitions. Besides, a great many people have a fear of doctors, surgeries, and hospitals. There came a point in time when Ronnie must have weighed his options and opted to try the surgical option. Sadly, his close friend’s concerns weren’t totally unfounded. Ronnie has had 10 back surgeries and in the recent film, viewers were left thinking that Ronnie would never walk unassisted again. The fact he found himself in a hospital again proved very worrisome, even though we know he’s a tank, and will more than likely be just fine. Ronnie is a man who clearly takes his health seriously, but he’s also a God-fearing man as well. This is why, he asked for prayers, and why he’s always thanked God and kept God, strongly, in his life. I make this point because despite whatever the doctors say, Ronnie believes in a higher power and he’s also got more heart than most men, that’s why he’s the G.O.A.T.. That having been said, we always pray and wish him the best. In a very real way, Ronnie devoted his life to bodybuilding and we will forever be grateful. The good news is, it looks like he’ll be ok. I hope you enjoyed reading this article, here at Iron Magazine. I look forward to reading your comments. Also, be sure to join the IronMag Bodybuilding Facebook group, like the IronMag Labs Facebook page, and of course, be sure to follow IronMag Labs on Instagram and Twitter.